Blizzard Entertainment has announced World of Warcraft: Cataclysm , the third expansion pack for the company’s wildly popular fantasy MMORPG, will go on sale at retailers starting December 7, 2010. 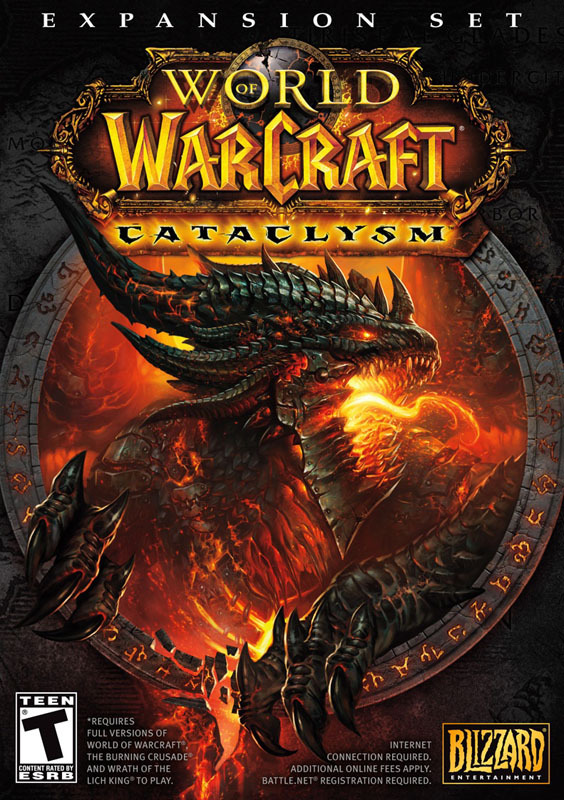 Cataclysm will be sold on DVD for Windows XP, Vista, and Windows 7 as well as Macintosh for $39.99, and be available as a digital download from the Blizzard Store. Folks who want to show their WOW spirt can also opt for a $79.99 Collector’s Edition with bonus items—the Collector’s Edition will exclusively be available from retailers. Blizzard has reason to be optimistic about the popularity of Cataclysm: WOW’s previous two expansion packs— The Burning Crusade and Wrath of the Lich King —each set PC game sales records when they were released. Beta testing for Cataclysm is already underway on Blizzard’s Battle.net site. The premise of Cataclysm is that the now-familiar world of Azeroth is devastated by the return of the Corrupted Dragon Aspect Deathwing—meaning locations and scenarios that were familiar to WOW players have been wiped out, altered, and filled with new hazards. The expansion pack also introduced two new playable races—goblins and worgen—to amp up the ongoing rivalry between the Alliance and the Horde. Cataclysm also pushes players’ max level to 85, adds heaps of new locations and items, and gives folks a chance to take on Deathwing itself.